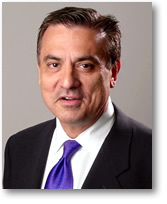 lf Nucifora is one of America's leading marketing consultants. As an acknowledged authority, he is in constant demand as a professional speaker and seminar leader on sales and marketing related subjects, with particular emphasis on branding strategy, marketing communications, and luxury marketing. Alf's web site has been developed with an eye to providing you with all the information you need to know about his background, philosophy and practice. He's always approachable and willing to help. Don't hesitate to contact Alf for information, advice or to provide feedback. If you have a need for marketing-related information, he'll have the answer for you.